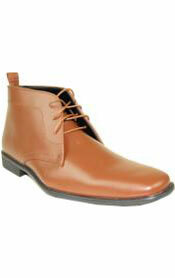 Footwear can be a joy for men who appreciate fashion. It can also sometimes be quite a hassle, however. That's because shopping for men's dress shoes in the right sizes can often be extremely difficult. If you're currently looking for men's dress shoes in sizes 15 through 19, though, you're in total luck, MensItaly has an amazingly large men's dress shoes selection available. It doesn't matter if your feet are on the smaller side. We don't care if your feet are rather large, either. We have an amazing footwear collection here just waiting for you. If you want to treat your feet to dress shoes that are the epitome of superior craftsmanship, quality and comfort, you honestly can't beat our plentiful footwear options. We carry sturdy leather shoes that are comfortable, cool, stylish and reliable. 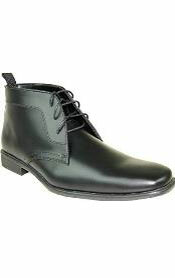 If you want to wear shoes that won't quickly wear out, we have an abundance of superb choices simply waiting for you. 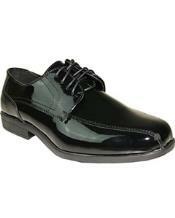 Dress shoes that are overly large can be truly uncomfortable. It can be annoying to walk around with nonstop worries about your shoes slipping off. 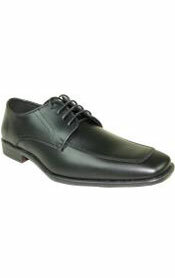 Dress shoes that are excessively large, on the other hand, can lead to an equal amount of discomfort. They can lead to significant pains and aches, too. Blisters are never good news. If you're searching for size 16 men's dress shoes that can give you the highest level of comfort possible, you can look straight at MensItaly. 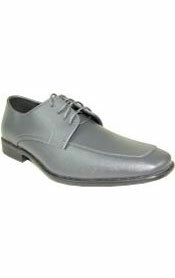 We sell men's dress shoes that always put pure comfort first. It can be unbearable to have to walk around outside for hours and hours on end in dress shoes or boots that make your feet feel awful and tight. It can be miserable to stand around all day long in dress shoes or boots that offer you anything other than superior ease and relaxation. 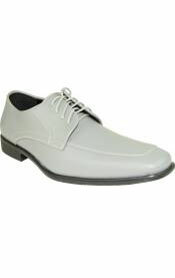 If you want to buy size 19 two-tone dress shoes to wear to a highly anticipated wedding, we have your back. 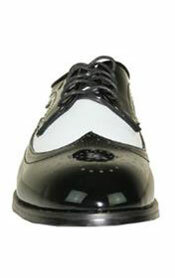 If you wish to purchase size 15 dress shoes that are suitable for a prom or other major party, we have your back, too. We even sell dress suits that are made using high-quality materials that don't wrinkle easily. Stop by MensItaly any time you can to take a look at our amazing and diverse choices in dress shoes and matching mens overcoat to complete your look.